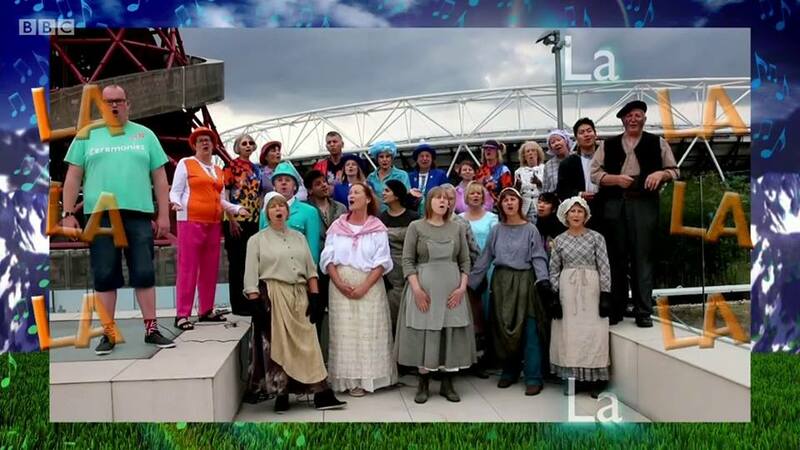 Film of Vision Choir and other Olympic performers singing Do Re Mi in the Olympic Park was shown as part of the larger virtual choir at the BBC Last Night of the Proms on Saturday night. Choirs and singers from across the UK were invited to film themselves singing the classic song, and then to upload it to the BBC website. We were over the moon to be chosen for the final film - and eagle-eyed viewers would have seen three clips of us singing on Saturday night.